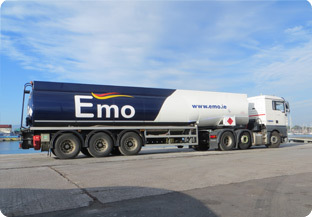 Emo is one of Ireland’s leading providers of Marine Diesel Oil (MDO). We can supply both Low Sulphur & High Sulphur MDO. Unlike some competitors, our Low Sulphur Marine Diesel has no bio-content. We understand the tough demands and tight time windows that our marine clients operate in, that’s why we are here to ensure MDO deliveries do not impact on your already busy schedule. Emo operates rigorous marine delivery procedures and all our deliveries are carried out by our experienced drivers in a professional, timely manner. 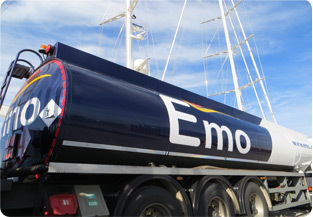 Emo Oil has extensive experience in the provision of MDO and can bunker your vessel at all of Ireland’s major ports. For an express MDO quotation, please select your product type, quantity and location from our Express Quotation Engine or alternatively contact Laura by clicking on the team member icon on the right-hand side. Emo Oil is part of DCC Energy which is the leading oil and LPG supplier in Ireland and the UK. This means we can provide the best price and service for you.